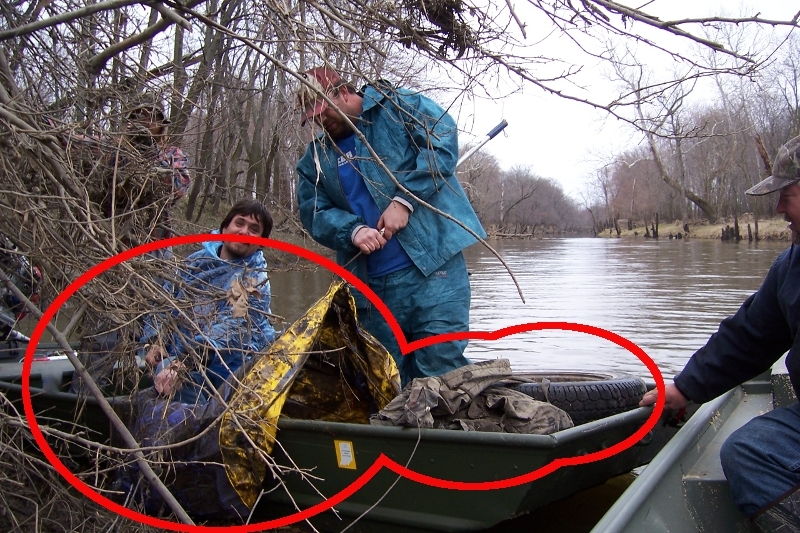 It is unfortunate that some people feel that they can use the river as their dumping ground. Here we ended up with two tires and other random trash. On our patrols and during log jamb removals we remove any trash that we can. 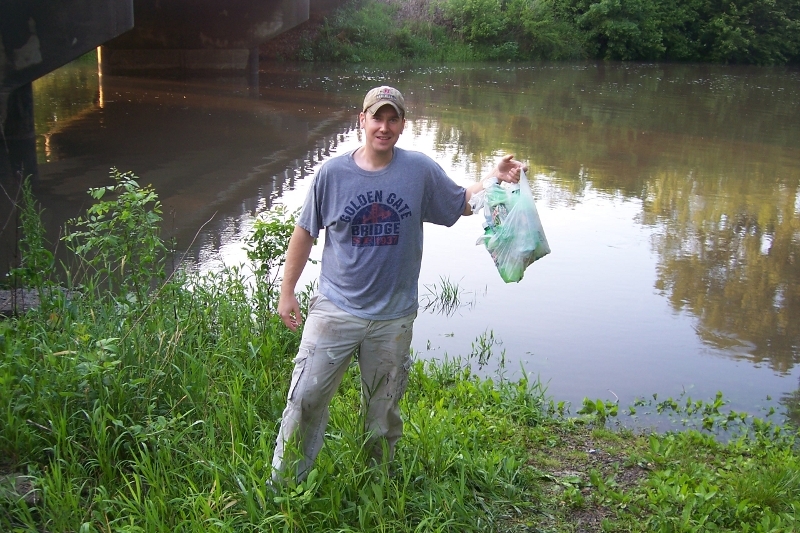 We also pick up any trash that is on the banks or at the boat launches that we use. 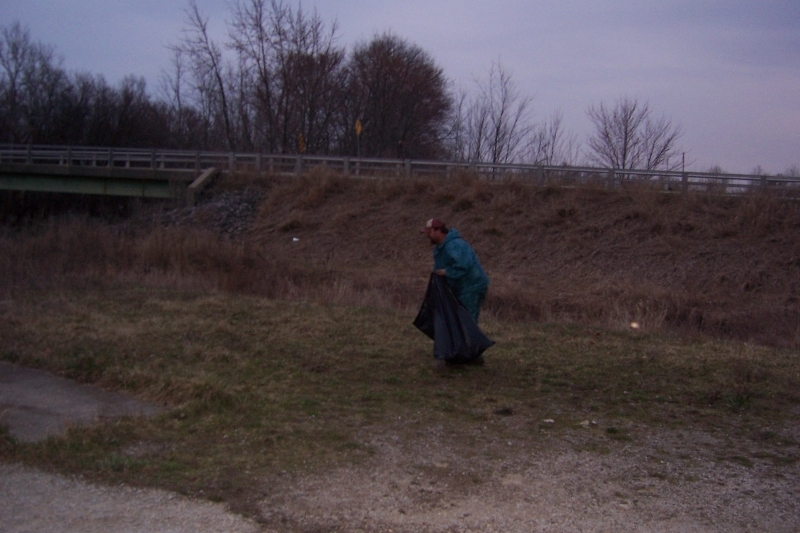 We have removed over four full truck-loads of trash and disposed of it properly. 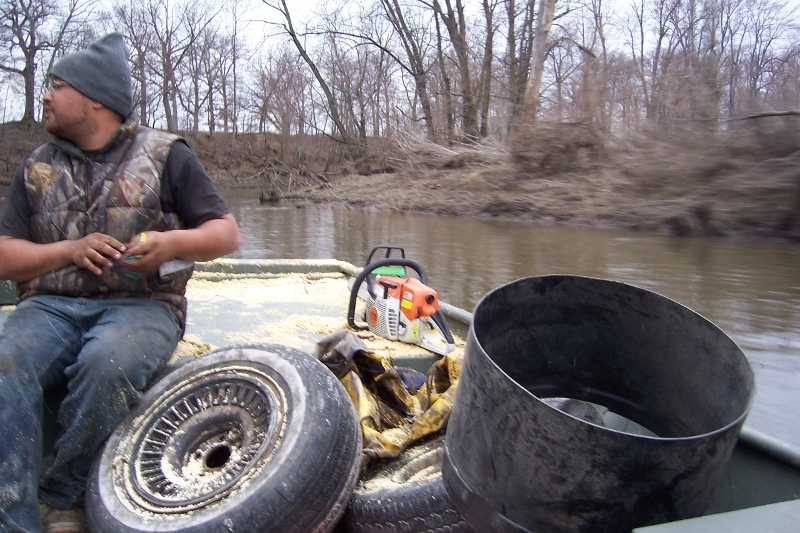 Thanks for learning more about the Friends of the Iroquois River. 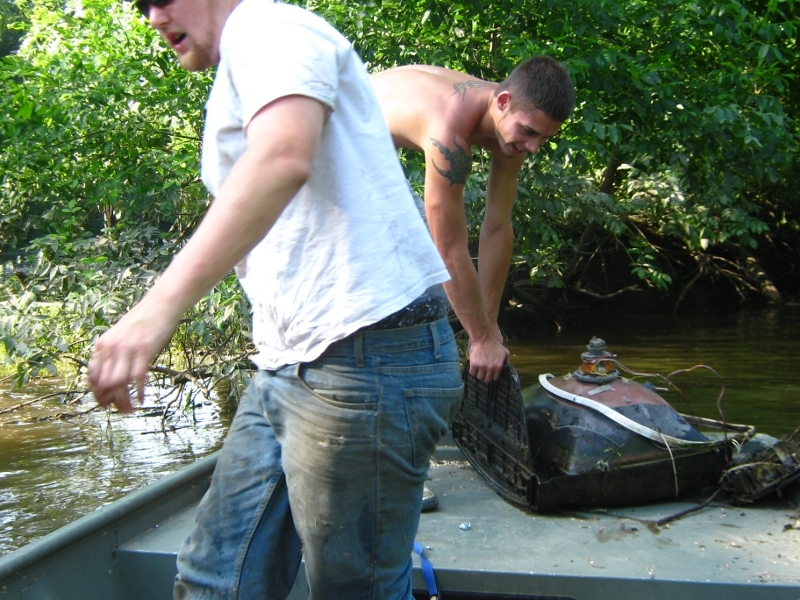 2010 Friends of the Iroquois River Inc. Web Pages and Graphics by Aviator Design Inc. All Rights Reserved.